The 2019 Festival is May 4-12. It begins on Saturday May 4 and runs through Sunday May 12. 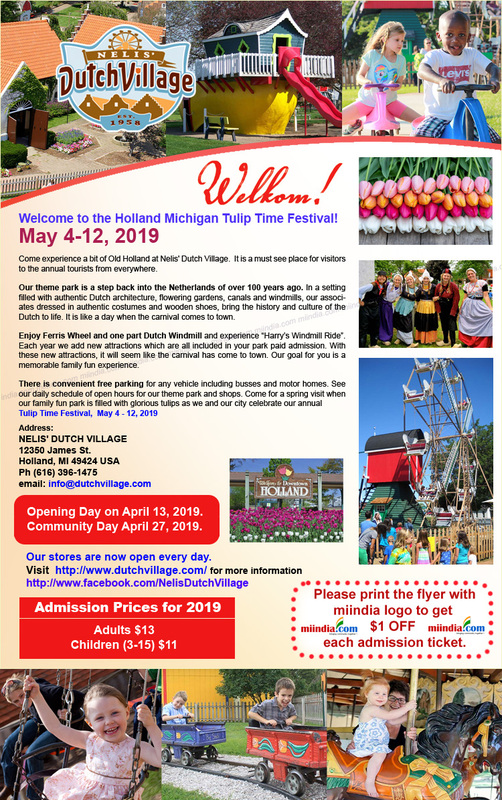 Tulip Time has great activities throughout the period, but the larger events like parades happen Wednesday through Saturday (May 8-11). Most of the larger events are clustered on the final weekend. Opening Day on April 13, 2019. Community Day April 27, 2019.